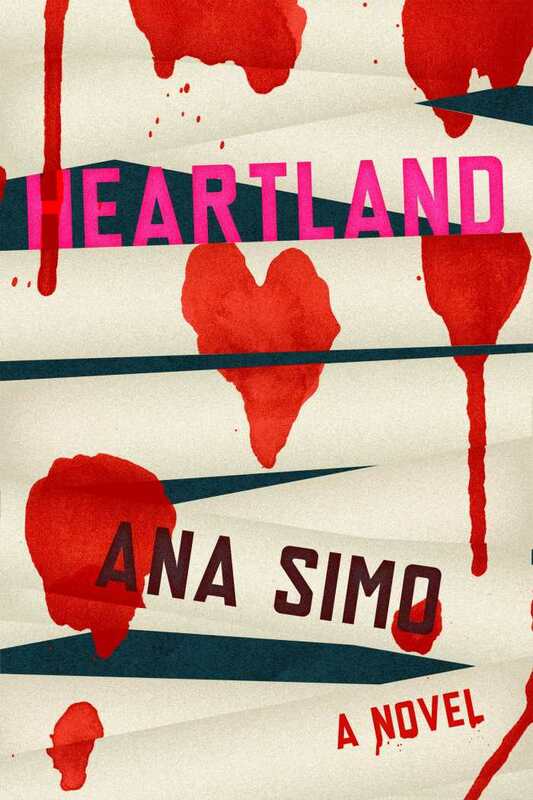 Heartland arrives in a saturated swirl of inner monologue and devoted observances. The novel’s unnamed narrator grew up in Elmira, a town with distinctive characteristics and a people whose specificity seems to have been cultivated by their limitations. She suffers through severe writer’s block and settles in for a long con, discarding her old life to plan a murder. Her planned victim, McCabe, committed the crime of losing Bebe, a healthily sexual woman with a gorgeous body whom the narrator once pined after. Enticed by McCabe’s stability and riches, Bebe was convinced of the relationship’s potential—it was nothing that the narrator could offer her. McCabe’s inability to hold Bebe proves too much for the narrator to bear. She must die. The narrator less plans the crime than she does study McCabe, though, wondering about the emotional angles of carrying out the murder. She is fascinated by McCabe, and by her body in particular. She is repulsed; she is drawn in. McCabe becomes like the sun to her: she cannot look directly at her, but studies every inch that she can observe, one by one. Much of Heartland comes through the narrator’s perspective, with bits of dialogue sprinkled throughout. She has an unreliable air, especially as her early monologues recount drinking and severe depression. Her mind deals in chaos and the impossible. In a novel with a hint of magical realism, whether the elaborate and unbelievable details she relates are true is anybody’s guess. There is a wide-eyed sweetness that lurks underneath the hostility of this novel, told in journal style. As with an actual knucklehead, with time and patience, the rewards well exceed the effort. Young, black law student Marcus Hayes narrates his own fast-moving story. His first-person account of self-determination in 1980s New York is a pearl necklace of chance encounters, momentous occasions, and powerful conflicts, all of which shape him, but only after he’s disabused of his notions of himself. After a violently tense beginning, Marcus hits his stride. Soon he crafts a cocky ploy to form his own study group of racial outsiders. All are brilliant, quirky, and going places—or at least they will be, under Marcus’s savvy direction. This leads to a bold encounter with group member Amalia, a preppy classmate from Berkeley whose love—and own black middle-class mores—provides impetus to calm the rage within. One moment, he has a violent date-night encounter in Alphabet City. Months later, he’s antiquing in California. Meeting Amalia’s parents goes well until truths are told and contrasts are drawn. All the while, the knucklehead within lurks. The tension is delicious, and the heartache palpable. Smyer gets how swiftly change can occur on the heels of confrontations borne of conditioning that we feel powerless to avoid. 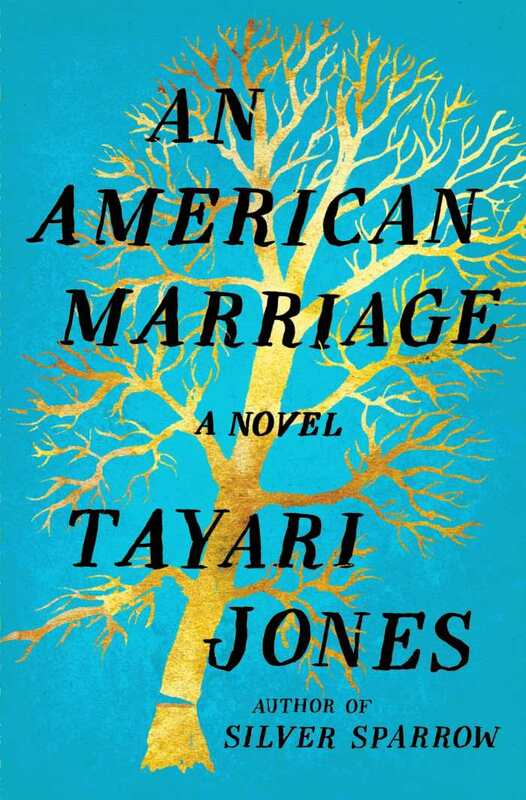 This book is bold in how it treats the reader as an insider to the reality of American blackness. 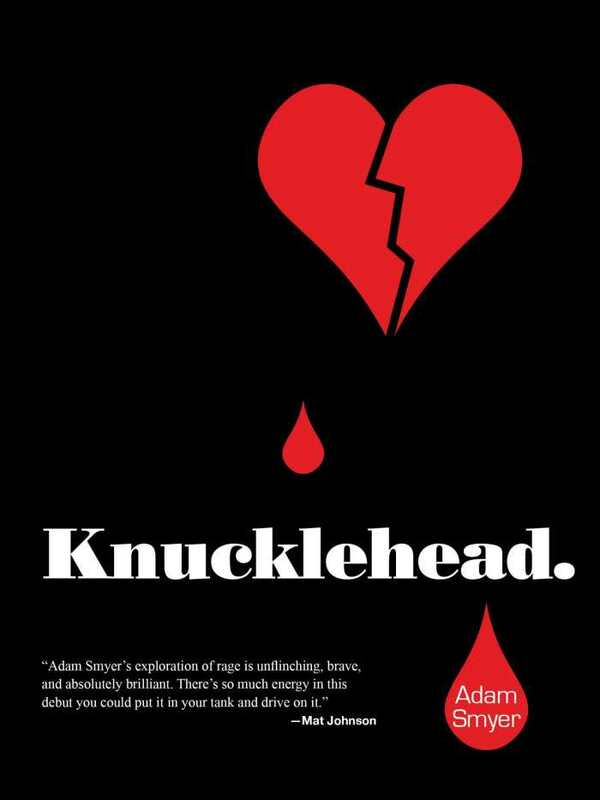 It can be, in turns, lyrically poignant, cynical, hilarious, and infuriating. Some readers may have to push through the dim spots to advance forward. Know there is light around every corner, you just have to hustle past some poorly-lit areas to get there. Just like New York City in the eighties, when it was wonderful. Hanif Kureishi’s The Nothing is a darkly humorous and slightly pornographic story about three extremely self-centered individuals entrenched in an odd, triangular affair. A retired and terminally ill filmmaker, Waldo, has suspicions of an affair between his wife, the vain and impulsive Zee, and his “friend” (in the loosest of terms), the manipulative and damaged Eddie. Zee, despite being extremely superficial and self-absorbed, has been taking care of her ailing husband for ten years when she falls in love with Eddie. She does very little to hide her relationship, purposely parading her paramour around Waldo as if to punish him. Eddie has a tumultuous past that explains his pathetic and toxic behavior. It is obvious Eddie has no shame in blatantly taking Waldo’s wife, home, clothes, and money right from under Waldo’s nose. 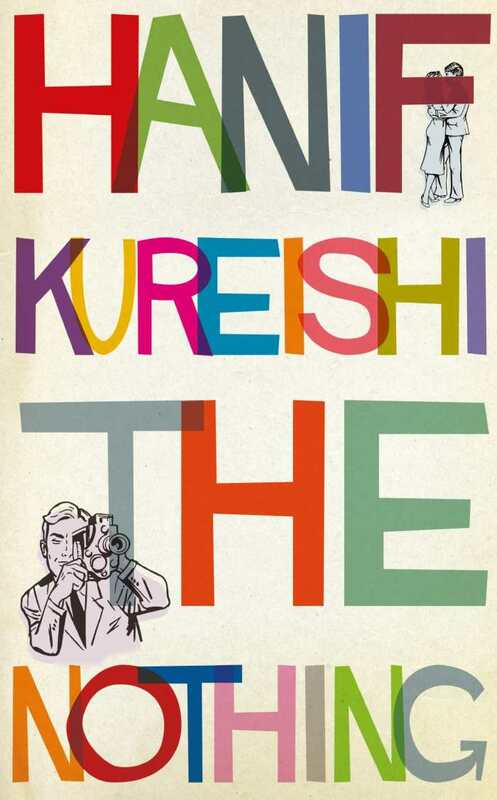 Kureishi takes these three self-centered characters and fleshes out their multilayered personalities with strange quirks, traumatizing past experiences, and emotional behavior. Each character’s temperament is slightly distasteful, but their peculiarities lead to enjoyable banter and a humorous read. Kureishi’s characters are an intriguing mix: lovable and funny, disturbingly impetuous, and sometimes downright repugnant in their behavior. Brief and highly enjoyable, The Nothing shines with its intricate characterization and interesting web of relationships. Kureishi forges an intense desire to discover exactly how each character’s life, or ultimately their deaths, will play out, and how each plays a part in the others’ fates. 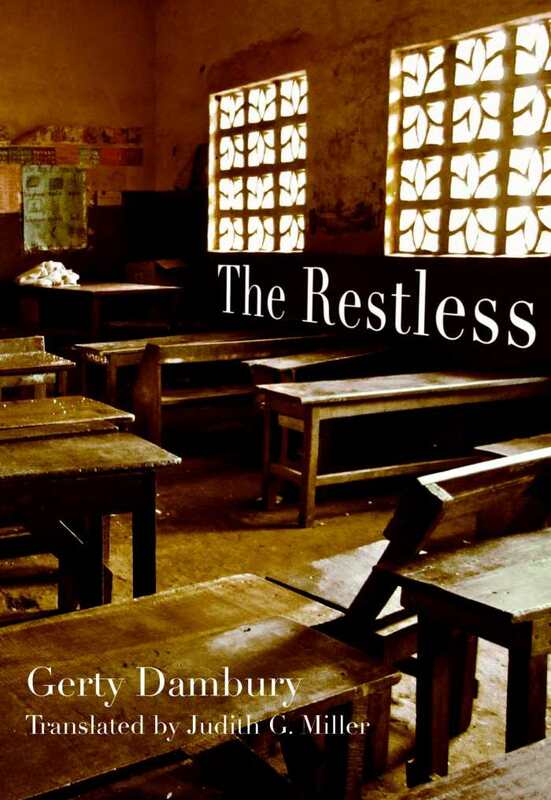 In Gerty Dambury’s The Restless, living and dead members of a Guadeloupe neighborhood recount the tragic aftermath of a deadly protest. The novel is inspired by real events and a shocking cover-up. On May 24, 1967, a union strike in Pointe-à-Pitre turns bloody when police fire on demonstrators. For nine-year-old Émilienne and her eight siblings, their father’s failure to come home after the tragedy and their teacher’s sudden departure are destabilizing events that invite a chorus of commentators. Despite the original count of five dead, it later emerges that more than 100 people were seriously wounded or killed. A large-scale cover-up follows. In Dambury’s novel, magical realism becomes a vehicle for exploring the events. As Émilienne sits on a bench, waiting in vain for her father, she is visited by five figures, four of them ghostly. They include two of her former neighbors, one of whom hung himself because of homophobia. Their testimonies illuminate the community’s history and mores. Abrupt narrative shifts occasionally make identification awkward, yet the frequent changes give the novel its verve. The chorus of voices includes a plural narration from Émilienne’s siblings that resembles prose poetry. They choreograph the novel so that it is “told the way a caller calls out a Caribbean quadrille.” That dance’s traditional steps provide the novel’s structure, while snatches of Creole lend the text vibrant specificity. “The dead are never really dead in Guadeloupe,” Dambury asserts. Here, she tenders poetic reflections on loss and the duties of the living. While at first glance The Newspaper Widow seems like a standard historical mystery, that couldn’t be farther from the truth. Cecilia Manguerra Brainard’s novel is full and complex, overflowing with textured, fully realized characters who drive the story on every page. Ines Maceda, the “newspaper widow,” aims to clear her son’s name. He has been accused of murdering a priest. In addition, Ines grieves for her deceased husband and combats the lingering trauma of earlier miscarriages. Her development is one of the shining elements of the novel—she feels tangible, rooted in the story and the setting. 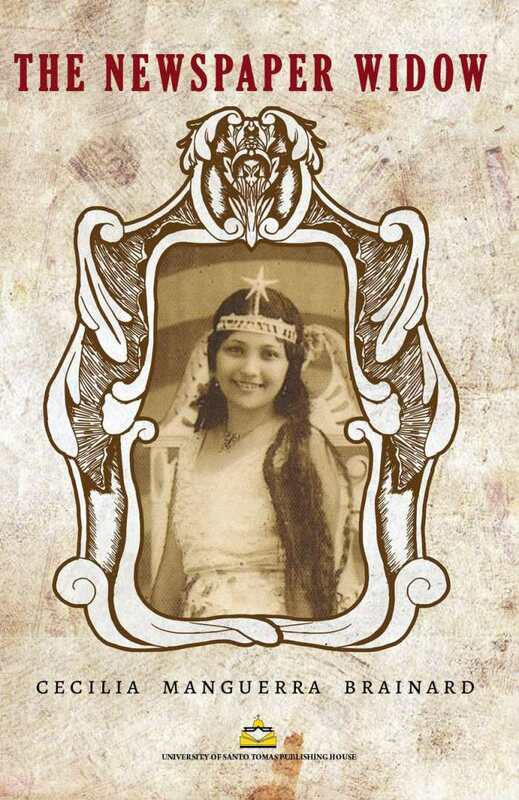 The Newspaper Widow offers a nuanced glance into Filipino society circa 1909. It is a world rich with history, myth, and ritual; descriptions pulse with life, providing crucial insights into aspects of Filipino culture and world colonial history, such as encounters with the “Island of the Living Dead,” sectioned off to contain those inflicted with leprosy, and once the world’s largest leper colony. While on the surface the book is a crime story, the plot is actually layered and unique. One of the novel’s greatest strengths is how it raises interesting, complicated questions about morality and justice while Ines searches for the priest’s true killer: Is death ever an apt punishment for a crime? Is revenge moral, or even necessary? Refreshingly, nothing is black and white. For all of The Newspaper Widow’s greatness, sometimes there are too many layers to the plot, and the ending falls a bit flat in comparison to the rest of the narrative. But flaws are minor; overall, this is a solid, satisfying work of literature. Cecilia Manguerra Brainard displays masterful storytelling skill in The Newspaper Widow, a unique, memorable mystery. The best science fiction requires a protagonist who normalizes the fantastic to tell their story. 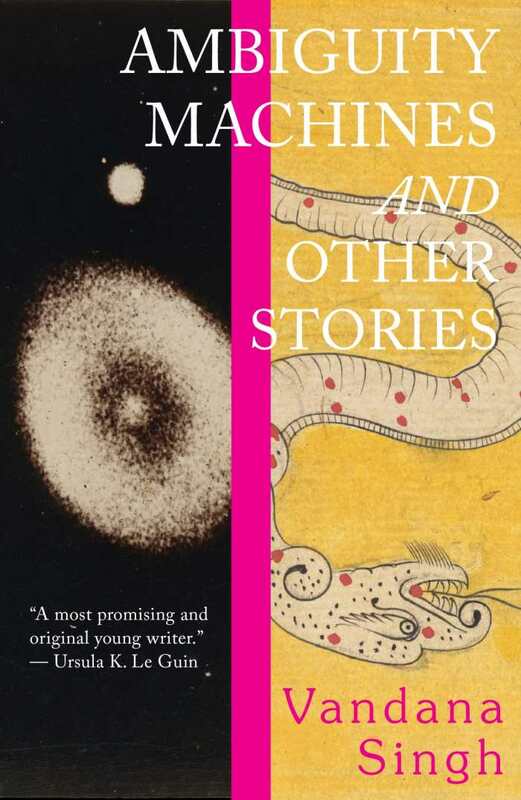 Vandana Singh’s Ambiguity Machines and Other Stories achieves this and more, with a bold collection of stories about fate, worth, and inner magic. “When Fates Conspire,” set in future India, finds that a caste of scientists has developed a machine that peers into the past. History and time control each other, and the weight of history is what determines which time streams connect. Gargi prefers to use her time in the machine to observe a young housewife, Rassundari, who is educated although her literacy is forbidden. Gargi is also obligated to watch Wajid Ali Shah, a poet of esteem who lived during the same era as Rassundari. Her keepers demand intel on his writing. Under pressure, Gargi makes up her own verses. This is all complicated by her dreams of a spirit who “floats above the delta of the river of time.” The ghost’s connection to the machine becomes clear as Gargi claims more and more freedom, emboldened by her awareness that she is the linchpin in a far grander scheme. Gargi’s role as seer through time begins to read less like science fiction and more like a self-love story, with stunningly tragic prose that is simply beautiful. From plot to setting to payoff, Ambiguity Machines and Other Stories is a marked achievement in science fiction. 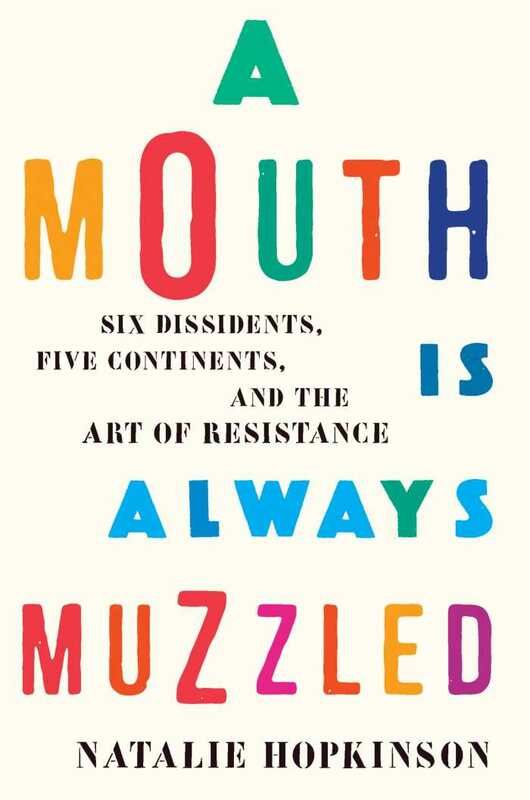 Natalie Hopkinson makes an impassioned case for artists to have a more central role in rethinking societal problems in A Mouth Is Always Muzzled. The book brilliantly recounts the history of the sugar and slave trades, as well as the West’s continued plunder of natural resources in developing countries. Particular attention is given to Great Britain’s strategically important former colony, Guyana. Interviews help to illuminate the backstories of six writers and artists connected to the small country; they are overlaid with tautly controlled suspense about looming national elections. Hopkinson’s knowledge of Guyanese culture and history adds great depth to her tightly organized analysis. She examines the writings and activism of poet Martin Carter, artist Kara Walker, historian Walter Rodney, and novelist John Berger. Her interviews and friendships with Guyanese painter Bernadette Persaud and poet/publisher Ruel Johnson are no less well researched, even as they are imbued with concern about the artists’ economic independence and personal safety. These are artists, she shows, who changed the public conversation. Hopkinson’s writing is journalistic, creative, and personal, enlivened by outrage and flair. It captures a country that is “economically shipwrecked,” cynically divided by corrupt leaders to form a never-ending “grudge match between brown and black sugar workers.” She is indignant over violence against women, political corruption, global disinvestment, and soaring suicide and emigration rates. Hopkinson paints the creative class as essential players in modern society—they “have vision out of a problem” and can imagine an alternative future, away from racial and economic inequities. Belying its title, the book loudly and elegantly articulates why artists are necessary catalysts in that shared better future.